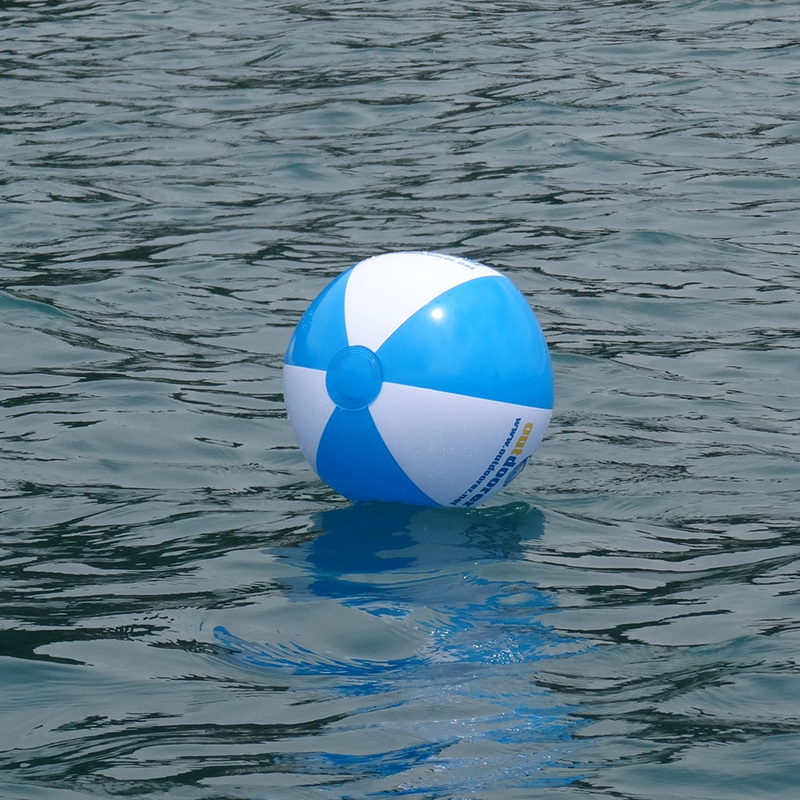 Whether in the pool, at lido, by the lake or on your summer holiday by the sea, an inflatable beach ball is an absolute must have for great fun on the beach and in the water. The Outdoorer beach ball is ideal for splashing around in the water and playing volleyball and football as well as being a fun toy for romping on the beach or on the lawn. Thanks to its small pack size, the ball does not take up much space in your beach/swimming bag, it only takes a few moments to inflate it on site and then the ball-playing fun can start! The BeachSplash Water ball will give your family hours of fun and laughter both in the water and on the beach! The BeachSplash can be ordered easily and conveniently via Amazon. 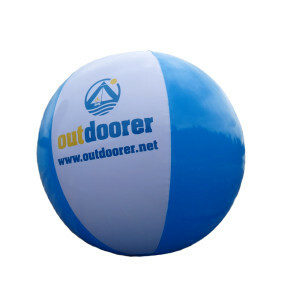 The BeachSplash beach ball has blue and white stripes and is printed with the Outdoorer logo. The inflated diameter of the water ball is about 28cm. It is made of PVC, is BPA- and phthalate- free and is in concurrence with the REACH Regulation and the European Directive EN71 „Toy Safety“. 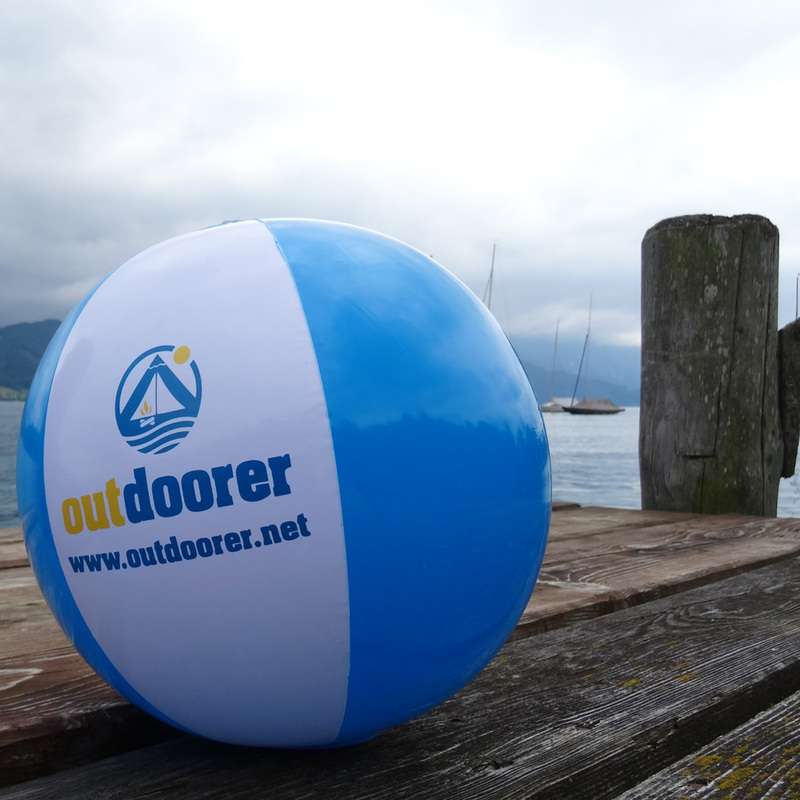 Where can you buy the Outdoorer BeachSplash water ball? The Beach Ball is available in our Amazon Store.